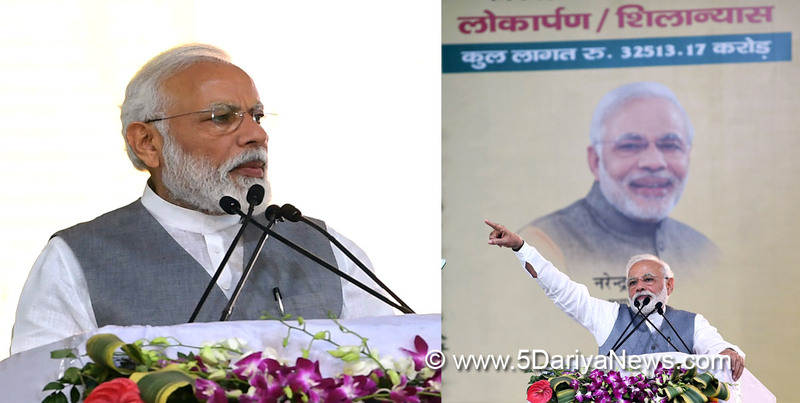 Prime Minister Narendra Modi on Friday said the opposition parties' demand for proof of the Balakot air strike was making Pakistan "happy".Addressing a rally here, Modi slammed the opposition parties, particularly the Samajwadi Party, the Bahujan Samaj Party and the Congress, for "not believing" the security forces with regard to the air strike in Balakot on February 26. The Prime Minister asked the opposition parties to stop making Pakistan "happy". "Tell me, if you do something wrong which is applauded by Pakistan, would you like it? Would you not be sad? Will you not regret? Would you do something that people in Pakistan applaud," he asked. "Some parties have been doing this for the last few days. When the surgical strike happened, these people raised doubts. Did they not insult the forces," Modi said.He said the government was silent after the Balakot air strike despite "the act of bravery". "Pakistan spoke about it first. Is Pakistan a fool to say that it was beaten up. Our people are asking for proofs. I would like to tell the opposition parties that the trust of 130 crore countrymen is my proof. I request you to stop making Pakistan happy," he said.Taking a dig at the erstwhile UPA government for its "inaction" over the terror attacks that happened during its rule, Modi said his government has taught Pakistan a lesson soon after the Pulwama attack.The Prime Minister said the UPA government did not act when hundreds of people died in the 2008 Mumbai terror attack and other such strikes in the country. "The then government in Delhi should have taken steps and questioned Pakistan. But it sat idle. Is it not injustice to the people of India? Was the Delhi government sleeping? Is it not guilty," asked the Prime Minister. "Was Modi supposed to remain silent after the Pulwama terror attack killed 40 CRPF troopers? If I had to act like the previous governments, why did you choose me? Would you accept if I behave like them? Should I not follow what the nation seeks," Modi said.Asking the gathering if the country wanted to teach Pakistan a lesson and put an end to terror activities, Modi asked, "Would your blessings be there if a war takes place in future."